FoxWhitfield was set up in February 2010 by solicitor, Paul Whitfield previously of Pinsent Masons. This article reveals the man behind the fast growing employment law practice in Didsbury, Manchester. Have you always wanted to be a solicitor? No. In fact I was a zoologist before I retrained in Law. It was my wife’s idea and I gave up work to go back to university for two years whist she worked to support us both. It was tough at the time but looking back 13 years on it was the best decision I ever made. 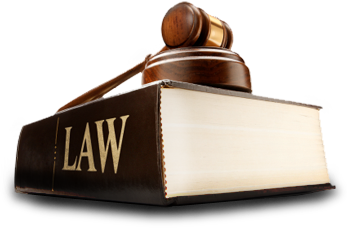 Why specialise in employment law? Employment law is about people and their relationship with their employer and how that interacts and, at times, clashes with the law. Each case is different and the constantly changing law makes it a fascinating field to work in. It also throws up bizarre and unexpected cases from time to time. For example; I successfully defended one company from an employee who claimed she was being discriminated against. Her claim was that she was being harassed at work because she had told people that she was engaged to a member of a famous boy band. She said she had been ridiculed and gossiped about because people thought this singer was gay and this was discriminatory. Fox Whitfield provides a genuine alternative to both large city firms and the traditional high street law firm. Specialising in a single area of law enables us to provide the highest levels of advice, client care and responsiveness at a significantly lower cost than the large firms. In many cases large firms regard smaller businesses, individuals and new start ups as unprofitable even if they could justify paying large firm rates. Often clients are also let down by the lack of specialist advise from smaller more generalist firms. I have never wanted to be a salesman, and I still have no intention of becoming one now. My clients come mostly from personal recommendations from existing clients. One of the things I love about working for myself is the freedom to take the time to get to know my clients and make sure that I understand their needs and background. It is by knowing my clients and their businesses that enables me to offer truly bespoke advice that reflects their approach, ethos and values. When clients get this level of service from someone who is genuinely interested in helping them and who will really work with them there is no need to sell. Why set up a new business in the recession? Many businesses have either gone through or are having to consider cost savings measures, such as redundancies, pay freezes or reducing hours. At the same time those people losing their jobs are finding it harder than ever to find new work. Employment law has never been more complex or more busy than now. The last government brought in a huge number of new employment laws and this combined with the recession forcing many businesses to reduce employee numbers or change contracts of employment to survive means that more and more businesses need expert legal advice. Particularly when more and more employees are willing to complain and bring claims than in the past. Will the new government change this at all? No. They have promised to review employment laws and said that they will reduce the amount of new legislation for employers by only bringing in new regulations if they cut existing ones. However, they can’t just undo the laws already in place. The government is to “phase out” the default retirement age of 65. Without any doubt it is keeping up to date with the law. Employment law really does change all the time and it is essential to know what has changed and what is likely to change all the time. The way to deal with an issue one week may well be the wrong way a week later. It is hard enough for me to keep on top of this when it is what I do every day. It must be a nightmare for people who are also trying to run a business. What is the most common question you are asked? In the past I would said it was “What can we do with employees with poor sickness records”, this can be a very difficult issue for employers to deal with balancing the business needs with those of an ill employee. One impact of the recession is that sickness absence levels are at the lowest they have been in years. These days the most common issue would be about managing redundancies and reducing the risk of claims. What one piece of advice would you give to a business considering making redundancies? Talk to the employees. In any redundancy it is essential to consult with the affected employees about your plans. The sooner you do this the less likely you are to are to have claims brought against you or for those claims to succeed. It is important to begin this consultation before you make any final decisions. I would also say that it is always best to take early specialist advice. It may be that something simple such as when you need to start consultation avoids expensive claims if you get it wrong. I am always happy to speak to people without charge to see if it would be worth taking some formal advice. Wherever possible I undertake work on either fixed or capped fees agreed up front so there is no sudden surprise with the costs.